July 2017 is almost here and we’re ready to welcome it. We made 2 calendar wallpaper designs in 6 versions each. 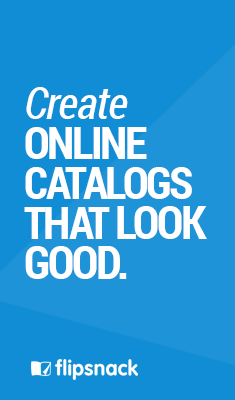 They’re totally free and easy to download, with a click on the desired size and calendar type. 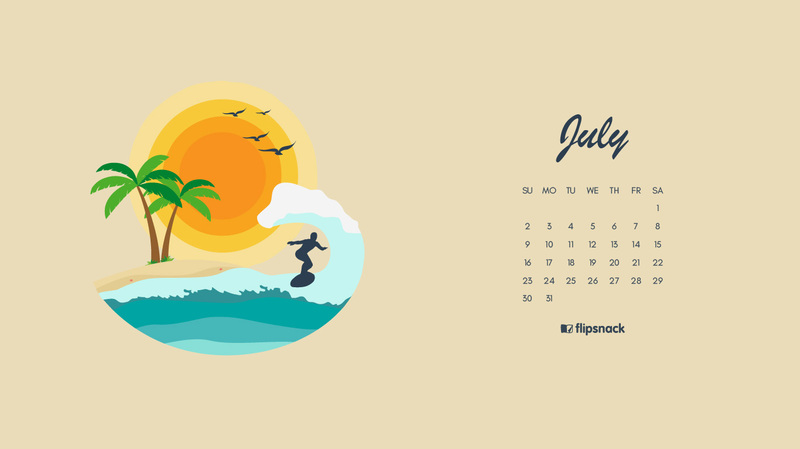 As always, each wallpaper comes in 3 sizes, so you can use it as desktop background, laptop wallpaper and smartphone wallpaper (the listing follows this order). 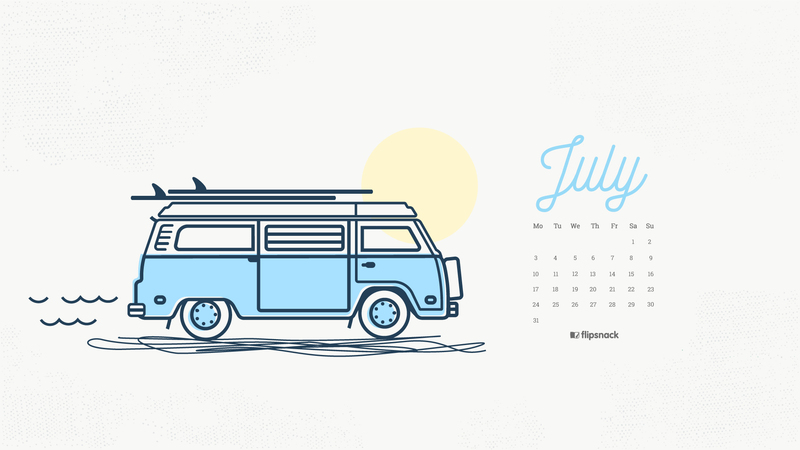 Help yourself to more freebies from Flipsnack. 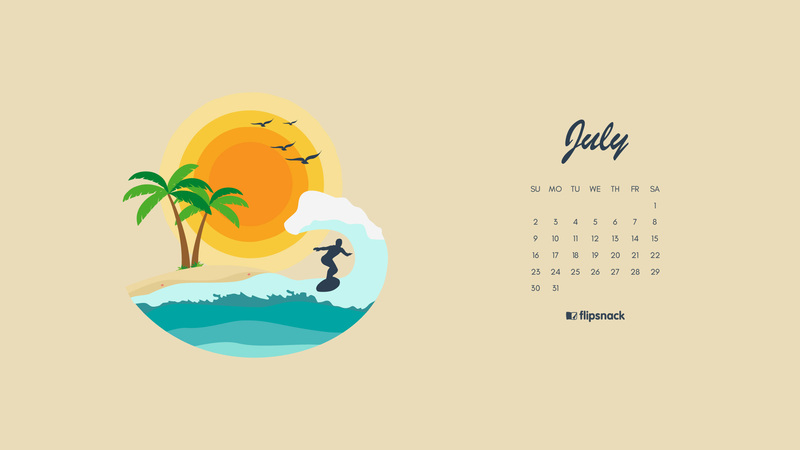 For the first time ever this July we made the calendar wallpaper in 2 versions, with a different week starting day (Sunday/ Monday) because different countries have different calendar systems. We can’t promise we’ll do the same thing every month, so we’re waiting for your feedback to help us decide. Do you think it’s a clever a idea? Which is the first day of the week in your country? Please let un know in comments. 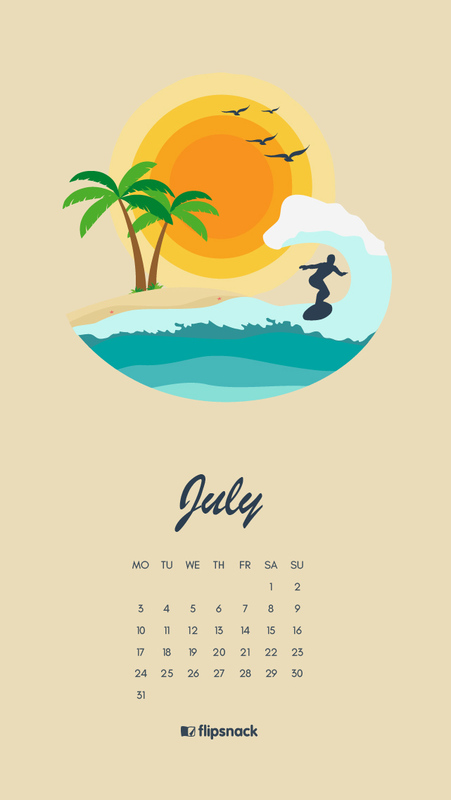 I was using the “surf” July 2017 calendar and found a mistake! 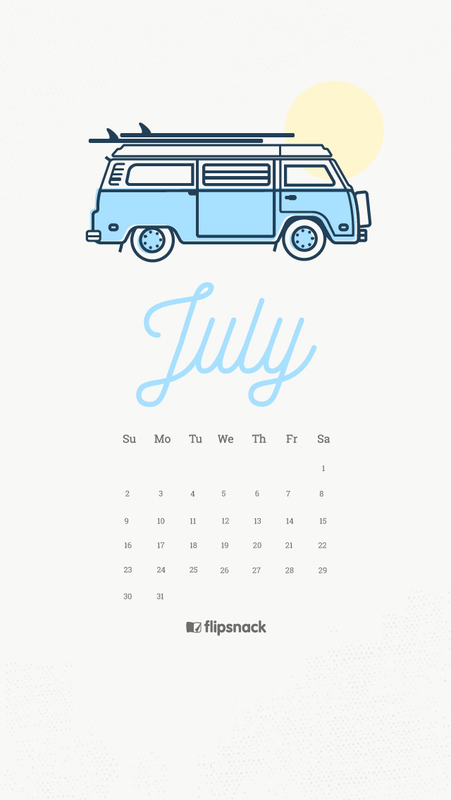 The last week in July has two 23rd dates. Just letting you know. 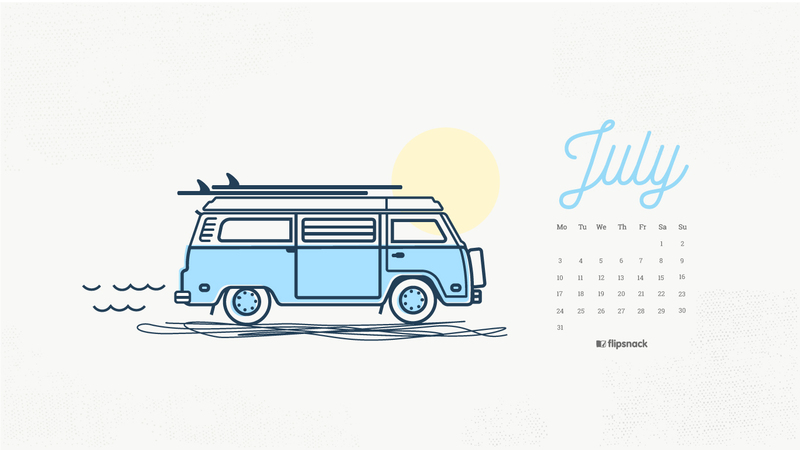 Thank you so much for designing and publishing these desktop calendars each month! Hi Lily! We fixed the problem, thank you for letting us know! I prefer to one with the mini van. I love to travel with those in the past. Thanks for the free downloads. Thank you John, I’m glad that you like it!